On Thursday night (8/2) Passion Pit played a Lollapalooza pre-show at the House of Blues with support from Givers and Kishi Bashi. Were you there? How was it? Last night’s gig was one of the few unaffected by a string of recently canceled tour dates, which were pulled in order to give frontman Michael Angelakos time to improve his mental health. The group play Lollapalooza tonight (8/3) at 6PM on the “Bud Light” stage and are scheduled to DJ at Spy Bar on Saturday night. 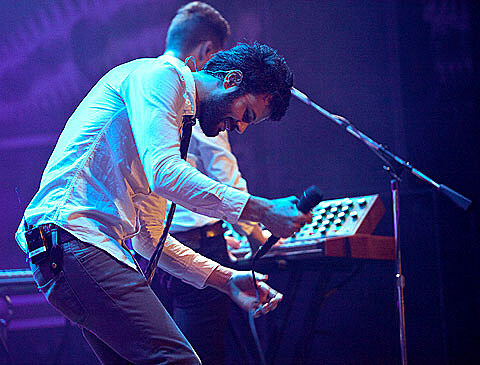 More pictures from the House of Blues show can be found at BrooklynVegan.